Overview: Pick your champion fighter and hope for a knock-out! 12 free games are awarded in the feature and lucky players may also get to experience the Fight Feature bonus round. Go with the fierce looking Pugilist Pete or the muscle-bound Boxing Bob and earn up to 12 extra free games for backing the winner! Both Wilds expand for even more wins! 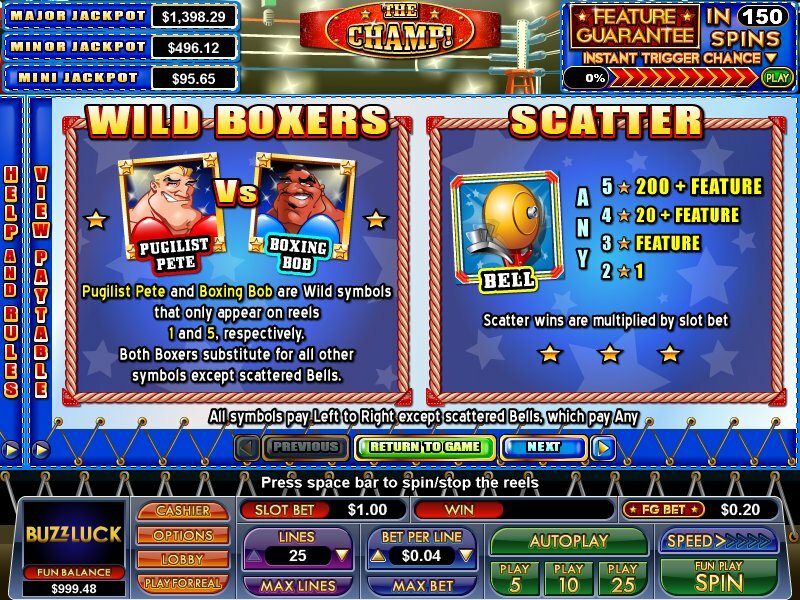 Multiple random jackpots add to the excitement in the boxing ring, giving all players the chance to trigger a jackpot at the conclusion of any paid spin. 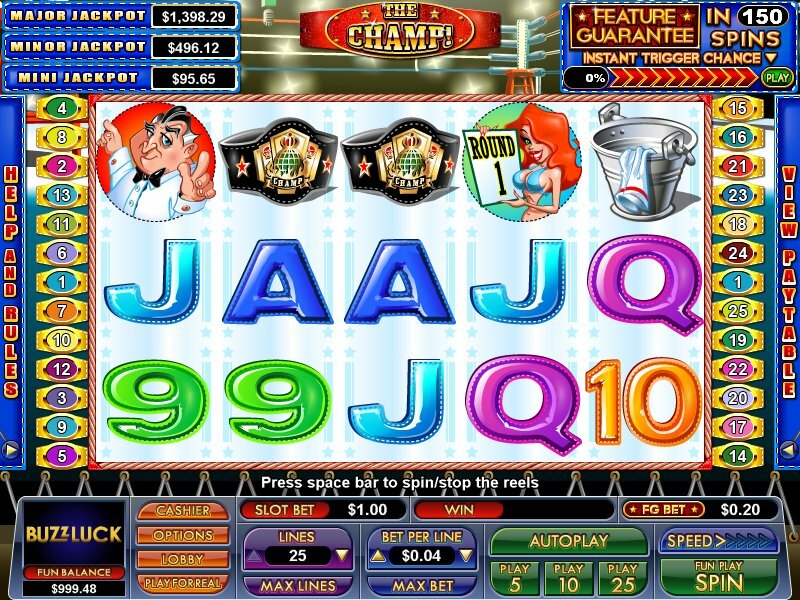 The Champ also includes the patented Feature Guarantee system, which insures that free games will be triggered within 150 paid spins if not won randomly! 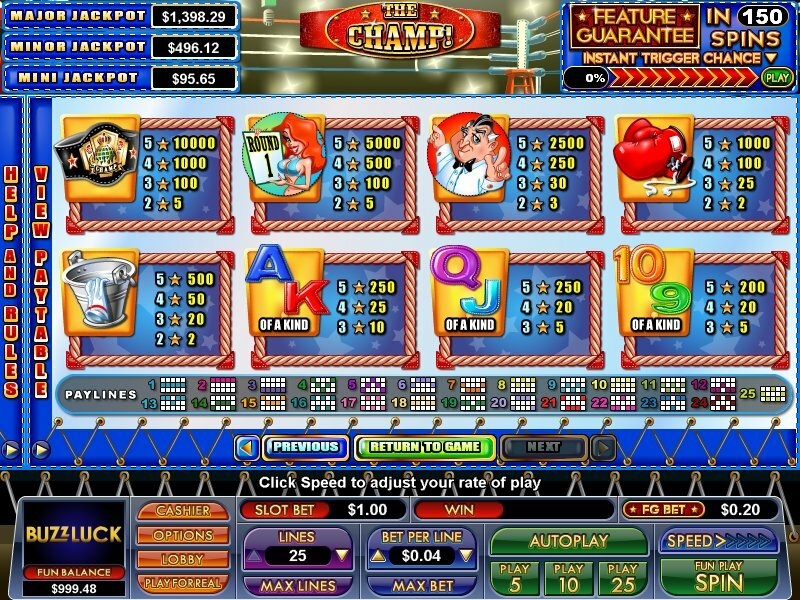 Similar Slots: If you like The Champ, you might like these other slot machines from NuWorks: Alaskan Sun, Cool Pool, Greek Goddess, Lucky Numbers, Monster Millions, Stone Age Cash.